INDUSTRY.co.id - Houston - The price of Brent crude closed up 6 cents to US $ 69.26 per barrel in the closing session on Thursday (11/01/2108) afternoon or Friday (12/01/2018). In that session, Brent prices reached US $ 70.05 per barrel. The price of West Texas Intermediate (WTI) crude closed up 23 cents to US $ 63.80 per barrel. That is the highest price of WTI since September 2014. Reuters reported in Houston, United States (US). The increase in oil prices in the global market is due to the emergence of an indication of decline in US oil reserves and tightening supply of oil to the crude oil market of Uncle Sam's country. Crude oil analysts predict, Brent prices fall back from its highest level due to price spikes early in the trading session yesterday that broke through the point of resistance. The condition triggered the buying action of market participants. 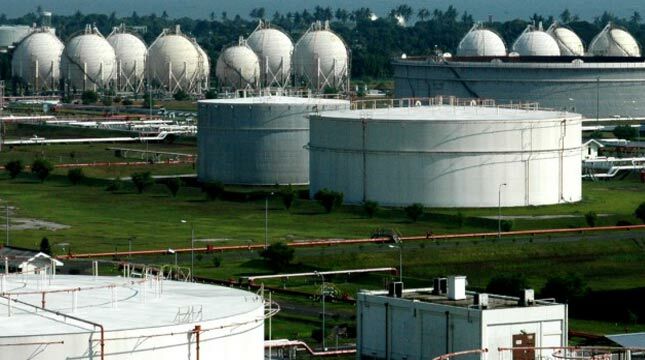 Nevertheless, the analysts argue, Brent takes more than a day to convince market participants that the price of energy commodities to penetrate US $ 70 per barrel. Meanwhile, according to Marty Wallace, broker of itrader.com LLC in Chicago, Brent price increase is caused by the action of short-covering is mostly done in the global oil market, but no deal purchase transaction that occurred. Crude oil prices in global markets rose on the stability of trimming supplies to the global crude market, especially supply to the US, the world's biggest crude consumer, which is currently experiencing a drop in crude reserves. According to the US Energy Information Board, US crude oil reserves fell by nearly 5 million barrels to 419.5 million barrels over the past week. US crude oil production is reduced by 300,000 barrels per day. According to observers, the condition was caused by the extraordinary cold weather and hit the entire US region last week. The current global crude oil price hike is underpinned by the withdrawal of more than 3.5 million barrels of crude oil at Cushing, Oklahoma, which is the center of US crude oil futures, on Tuesday (09/01/2018). Meanwhile, production cuts by OPEC and Russia oil exporters throughout 2018 are expected to continue to prop up prices. According to Suhail al-Mazrouei, the UAE's Energy Minister who also serves as President of OPEC, the global crude market will continue to balance in 2018 and OPEC is committed to continue implementing the policy by the end of 2018.